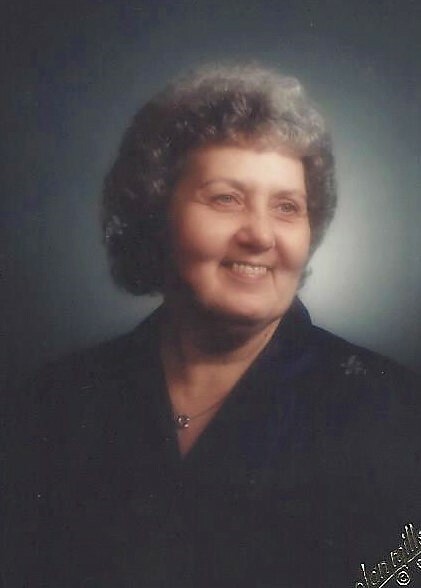 Obituary for Geraldine "Gerry" E. (Robinson) Myers | Harold M. Zimmerman And Son Funeral Home Inc.
Geraldine E. (Robinson) Myers, age 85, a resident of the Shook Home of Chambersburg and formerly of Greencastle and Waynesboro died at 12:05 PM Monday January 28, 2019, in the Shook Home. Born October 15, 1933, in Mercersburg, PA, she was the daughter of the late Jacob E. and Mabel Izora (Bivens) Robinson. 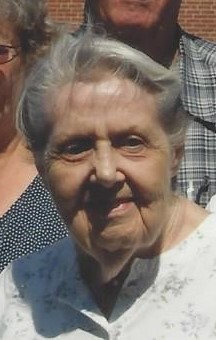 Geraldine was a homemaker and had worked at the former Stanley Co. of Chambersburg, Grove Mfg. of Shady Grove and the Sunnyway Diner Deli in Greencastle. She was a member of the Otterbein United Brethren Church of Greencastle. She enjoyed cross stitch, playing cards, Bingo, and collecting elephants. Surviving family are six daughters; Debra Carbaugh (husband Denny), Sondra Pohl (husband Roger), Pam Akers (husband Randy), Kim Woodring (husband David), Dawn Reasner, all of Greencastle, and Kristal Shearer (husband Joseph) of Waynesboro, PA; one son, Rory Myers (wife Pam) of Shade Gap, PA; nine grandchildren, six great-grandchildren; numerous step-grandchildren and step-great-grandchildren; four sisters, Phyllis Miller of Greencastle, Nancy Thomas of Greencastle, Linda Stover of Lemasters, PA, and Beverly Peiffer of Mercersburg; three brothers, Junior Robinson of Upton, PA, Delon Robinson of Greencastle, and Ronnie Robinson of Mercersburg; and numerous nieces and nephews. In addition to her parents, she was preceded in death by her husband, Nathan E. Myers in 1975 and a brother, Marvin Robinson. Funeral services will be held on Thursday, January 31, 2019, at 11 AM at the Montgomery Brethren In Christ Church, 6727 Montgomery Church Rd., Mercersburg with Pastor Raymond Martin officiating. Burial will be in the adjoining church cemetery. It is the request of the family, due to health reasons that guests refrain from wearing perfumes or colognes while attending the service or viewing. The family will receive friends this evening, Wednesday, January 30, 2019, from 6:00 – 8:00 PM at the Harold M. Zimmerman and Son Funeral Home, 45 South Carlisle St., Greencastle, PA 17225 and one hour prior to the funeral service at the above church and address. If desired, memorial contributions may be made to the Veteran’s charitable organization of your choice. Online condolences may be expressed at www.zimmermanfh.com.